Hi, I’m Alex and I’m a guitar teacher in Tokyo. In this post, I’m going to answer some of the most common questions I get from beginner guitarists. If you have any questions about learning the guitar, please leave a comment below as I will be more than happy to answer your questions. So, let’s have a look at the top 10 questions I get asked by beginner guitarists. 1) What kind of guitar should I buy? Broadly speaking, the big three guitars are electric, steel string acoustic and nylon string classical. Let’s look at the common musical styles played on each. Then I’ll compare each guitar and talk about some points you might want to keep in mind before making a decision. First off, let’s start of with my speciality, the classical guitar. 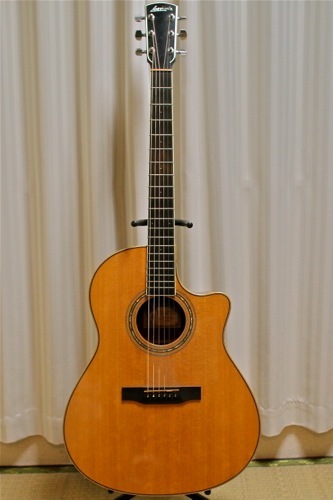 Classical guitars are hollow acoustic guitars with nylon strings. The lower E, A and D strings are wound with silver. Usual styles played on classical guitars are of course classical, bosa nova and sometimes jazz. Flamenco is also played on nylon acoustics but those guitars are slightly smaller than classical ones. Classical guitars are not usually played with picks (plectrums) although the Mexican duo Rodrigo and Gabriela are a notable exception. One of the benefits of playing classical for a beginner is the nylon strings which are much easier on the fingers than steel string acoustics and electrics. I personally started playing guitar on the classical and it has helped me to build a solid classical technique and grounding in music harmony which was then easily transferable to electric and steel string acoustics. Next up are steel string acoustics. They are similar to classical guitars in that they are hollow acoustics however they use steel strings. Also, the bridge and tuning pegs where the strings are attached have a slightly different system from classical guitars. Beginners complain that the steel strings can be a little harsh on the fingers at first. This is also due to the fact that acoustic guitars sometimes use strings that are higher tension than electric guitars which means bending notes can be a little harder. However, after some regular practice, you will build strength in your fingers and you will get used to it. There are a lot of styles played on acoustics including folk, blues, pop and rock just to name a few. However, most beginners usually take up steel string acoustics to learn to strum their favorite songs. It’s quite common to use a pick to play melodies and strum chords on a steel string acoustic although it is also possible to “finger pick” as well. Finally, let’s look at electric guitars. These have steel strings are mostly made from solid wood with the exception of some electric jazz guitars which are hollow. Like an acoustic guitar, you can strum your favorite songs but they’re also made for soloing. Soloing and bar chords are a little easier to play on electrics but don’t forget you will also need an amp. Common styles played on electric guitars are quite varied including, but not limited to, rock, heavy metal, jazz, pop and funk. 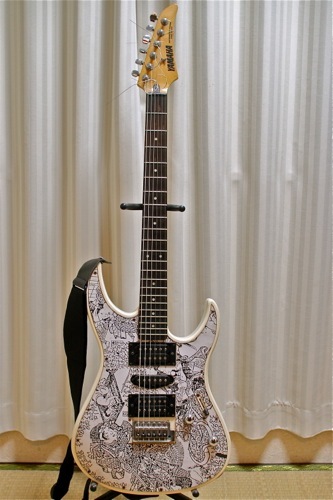 Although there are a myriad of models out there, you won’t go wrong with a Fender Stratocaster. It’s a classic all round electric guitar that can handle most styles from blues, to rock and even jazz. Famous exponents of the Fender are Jimi Hendrix, Eric Clapton, Bruce Springsteen and George Harrison to name just a few.Don’t worry, I’m not getting paid by Fender to say this…although I should be! Whatever guitar you decide to get, go down to your local guitar store and try them out to see how they feel.Remember to ask your local guitar store Jedi to help you chose a guitar that’s right for you. I would advise against buying a guitar online as you really need to try it out in person before you even consider buying it. 2) What kind of guitar would you recommend my child to start learning on? 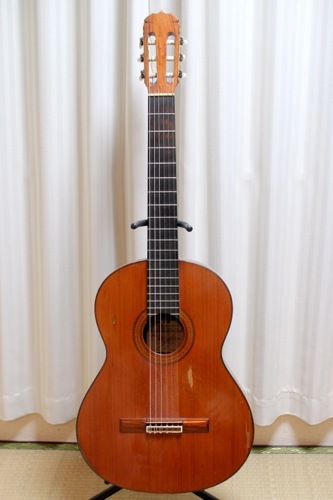 This depends on what age your child is but smaller size classical guitars are usually best. First of all, the nylon strings are easier on little fingers. Steel string acoustic strings can be a little too harsh, even if they are smaller child sized ones. Also, studying classical guitar music will give your kid a good all round solid education in music, sight reading and general music theory. And those skills can be transferred to other styles such as rock or jazz later down the road. A good guitar shop should be able to help you buy a smaller sized guitar depending on the age of your child. They should be able to give you advice on what else to buy such as a guitar case, strings and other accessories. Another closely related question is what is the youngest age a child could take up the guitar? It totally depends on the kid and I have taught some very young children, the youngest being about 5. However, in my experience, anything below 7 or maybe 6 is going to be pretty challenging in terms of concentration and coordination which is necessary for a somewhat tricky string instrument such as the guitar. One last thing you should consider is starting your kids off with a ukulele rather than a guitar. It’s really small which makes it portable and easy to hold for a kid. Next, it only has four strings and they are made of nylon. Those points make it easier and much more manageable for kids to get used to strumming a string instrument and playing songs quickly. 3) How much should I spend on my first guitar? These days, thanks to mass production and machine processing, you can get a lot more guitar for a lot less money. Having said that, there is a balance between spending too much and too little. Spending too much is a potential risk if you give up later. On the other hand, buying a low quality plank of wood can be hard to play and sound terrible. This can kill your motivation and make you lose interest fast. Although this is a very rough estimate, I would say anything under $150-$200 for a new guitar is probably not going to have the quality, feel and sound you need. So, anything from $200-$500 is the kind of range you should be looking at. As for an electric guitar, again,anything below $200 is probably going to be pretty rubbish. If you can afford $600, you can get a new Fender Stratocaster which is a pretty solid guitar and will last you a long time before you need to thing about upgrading. Don’t forget, you will also need to buy an amp or at least an audio interface for your PC or Mac which could push up the price another $100 – $200. Other costs can include, picks, capos, guitar straps and also cases. If your local guitar shop guy is in a good mood, you can usually negotiate with them and get some of those extras thrown in. Soft cases usually come free with the guitar. If you want a good sturdy hard case that is usually extra. So to sum up, anything from $200-$600 is a reasonable price to get your first guitar. 4) How much are guitar lessons? This can depend on the experience of your teacher and where you are learning. Anything from $20-$40 an hour is usual, again depending on the teacher’s experience and skills. You should also budget for books which could be anything from $40 upwards depending on what you buy. Check out this post about 10 questions to ask a potential guitar teacher before you decide to take lessons. The top guitarists at the best music schools can charge anything upwards of $100 an hour but this is a little excessive for a beginner student who is just trying out the guitar for the first time. 5) How hard is it to play the guitar? If you put the practice in and are really dedicated, you could be strumming very easy songs in a few weeks or months on a steel string acoustic or electric guitar. So, to play through the basics it’s not really that hard. Of course, if you want to play more advanced classical guitar, jazz or do rock or blues solos, that will take a lot more time and practice. As it is a string instrument, you will need fine motor control and good hand eye coordination to play accurately and produce a nice tone . The guitar has been described as a little more “fiddly” than say the piano, but with a little dedication and passion you could be the next Jim Hendrix! 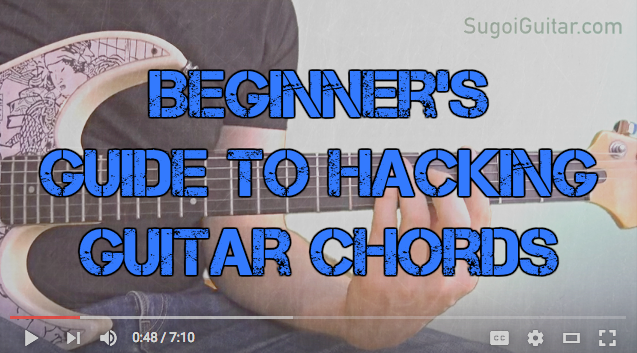 6) Will it hurt my fingers when I start to learn the guitar? A little, yes. However, it is temporary and will go away as you improve. Most pain or discomfort when starting the guitar is usually with the hand you use to fret the notes along the neck which for most people (and not Jimi Hendrix) the left hand. This is due to pressing down on the strings with your finger tips on the fret board. It can also be caused by grabbing the neck too hard which is a common mistake beginners make. However, with some regular practice, your fretting hand will develop calluses and any fingertip pain will go away. Also, as you continue, your technique should improve and you will build finger strength making it more efficient and easier to play. Later on, you should be careful of any tension in your limbs or fingers that can lead to strains or pain. The general rule is, if anything hurts, stop playing, relax and be aware of your posture or habits that could adversely affect you. 7) What’s the difference between private one to one lessons and group lessons? Most people opt for one to one lessons as you get more personal instruction from the teacher. However, group lessons for the guitar can also be good. Although you get a little less personal attention, it’s great practice to play with other guitarists which in turn is good for developing rhythm, coordination and skills for playing in a band or other ensemble. You can also save a little money if you take group lessons. Finally, if the lesson goes well, you may have even more motivation as you won’t want to let down your practice partners. 8) Are live online lessons any good? To be honest here, I’m getting a little outside my own area of expertise as I don’t really do live online guitar lessons. It is however, something I am thinking about offering in the future. As broadband speeds and video conferencing technology such as Skype improve, I guess you’ll be seeing an increase in online guitar lessons. Some of the main problems with doing an online lessons are sound and picture quality and dodgy connection speeds. Another problem caused by the time lag means it’s not really possible to play together in time with your teacher. Having said that, live online lessons might be better for medium to advanced level guitarists to learn new riffs, scales or pieces that can be easily taught. I usually get on Skype to talk to fellow guitar teachers to swap ideas, riffs and music that might be useful for our lessons. Please feel free to leave a comment below if you have had any experience with live online lessons. I’d love to hear your thoughts and ideas. 9) How long should I spend practicing guitar? I think anything less than 20 minutes a day isn’t really enough to improve. I would say 30 minutes is OK for beginners to maintain and improve slowly. Of course, the more time and dedication you put in, the more you will get out of it. Also, remember, it’s not only the length of your practice sessions but also how regularly you practice. There is no secret to playing guitar, just play regularly. That is far more effective than playing for 10 hours on one day every other week. Check out this post I wrote about how to practice including 10 secrets pro guitarists use to improve quickly. 10) Should I learn to play with a pick or should I learn to play just with my fingers? Yes! Well, what I mean is, learn both! As I mentioned before, apart from a few exceptions, classical guitar doesn’t use a pick. But for electric and acoustic, learn both finger picking and learn to use a pick. In my classes, I will actually teach a little classical finger plucking technique to steel string guitarists to give them a solid classical technique which can then be easily transfered to folk, blues grass or whatever they want to play. I usually teach both finger picking and using a pick at the same time to give my students a more varied and flexible technique. It’s also a good way to break up a long practice session and make it a little more interesting. You’ll also be able to play a lot more music with both techniques. So I hope these questions and answers helped you if you were wondering about anything related to starting the guitar. Please leave a comment or questions below as I’d love to help you out. So, good luck with your guitar playing and remember to always ROCK OUT!